Will You Love Me? is the story of Cathy’s adopted daughter, Lucy, who arrived as a foster child and stayed for good. Lucy was born to a single parent who had herself been abused and neglected for most of her childhood. Lucy’s mother couldn’t cope with a baby and Lucy was neglected right from the start. Despite concerns being raised by her teachers and other adults Lucy wasn’t taken into permanent foster care until she was eight years old. But even then her problems weren’t over. As she was moved from one foster home to another she became increasingly upset and angry. By the time Lucy arrived at Cathy’s, aged eleven, she was withdrawn, refusing to eat and had bouts of terrifying anger. It was thought that the damage done to her was largely irreversible. Cathy set out to prove them wrong. "Best-selling author Cathy Glass' new book based on moving real-life story of adopted daughter. " "Couldn't put the book down! I love Cathy Glass' work and this was no different. A really personal memoir and all the more touching as Lucy features in other books too. " "Excellent book, as are all of Cathy's books. " "Another brilliant book by Cathy Glass that won't disappoint. " "Brilliant read. Would defiantly recommend! " "Having read all of Cathy Glass' books, I had high expectations of this book, and they were fulfilled! I recommend this book to anybody. " 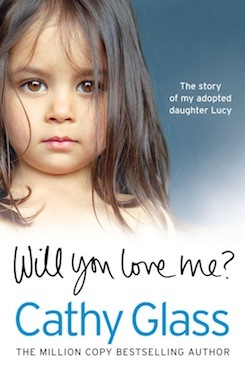 "In this latest book from bestselling author Cathy Glass, she tells the story of her own adopted daughter Lucy. Taking us back to the start of Lucy’s life with her mother Bonnie, Cathy Glass shows us how Bonnie struggles to care for her daughter. Lucy’s Thai father disappears, leaving Bonnie to battle with her own depression and isolation. Lucy’s early years are spent outside the radar of social services, and even once her needs are brought to the attention of the authorities she spends many years drifting in and out of foster care."